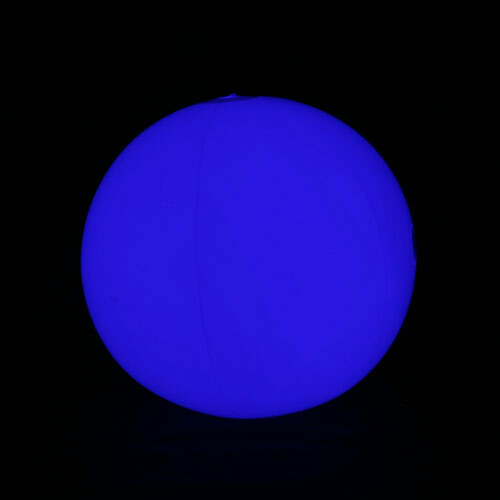 For a superb blue light effect allowing you to extend your festivities in the evening and make fun last, the 20 inches blue light up LED beach ball is the accessory that you need. Essential to your volleyball party extensions in your pool, holidays, on the beach. Ideal also for festivals in a crowd during the Saint-Jean-Baptiste or during different musical performances. Made of white vinyl, you need to inflate it and turn on 3 sections of 3 blue lights. AG13 Batteries are included and replaceable. This luminous product is not recommended for children under 5 years old.